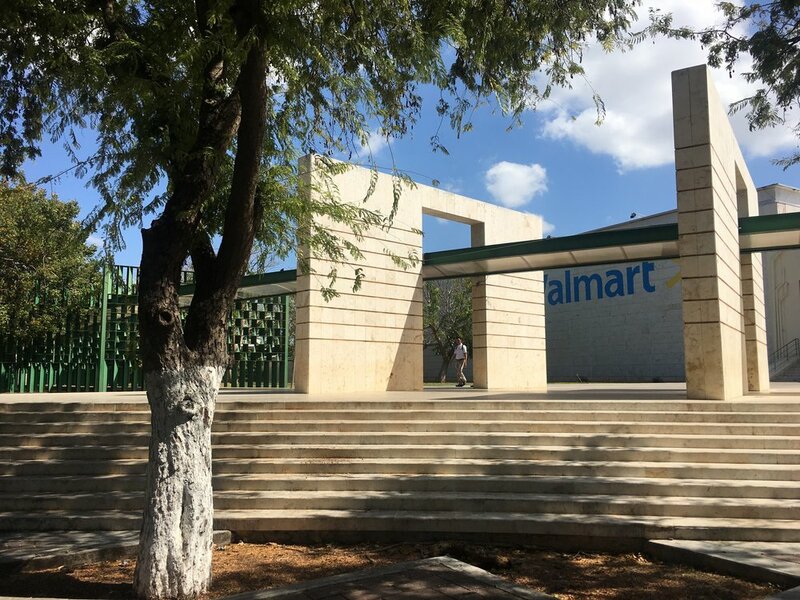 My favorite thing about traveling is discovering interesting, unexpected architecture, and this modernist Walmart has to be one of the most surprising structures I've ever found in the course of walking around a city. 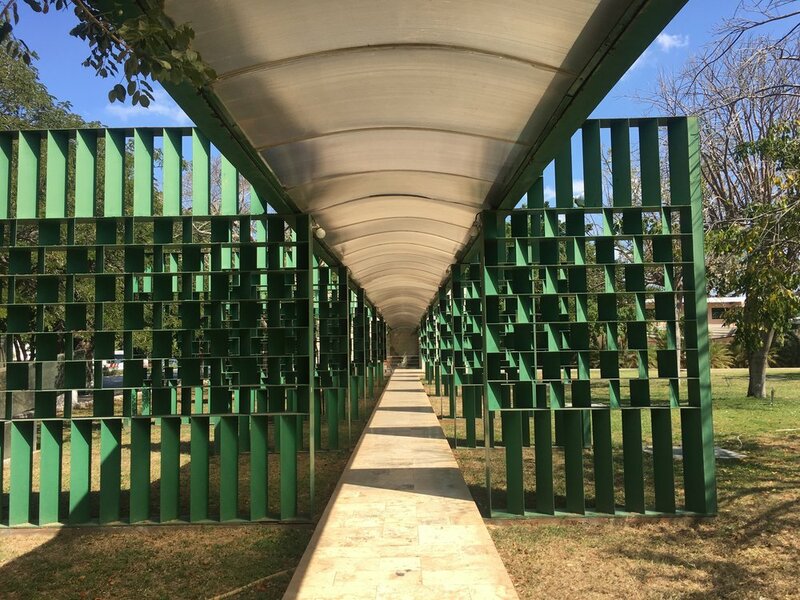 The Mérida Walmart is gorgeous imo, with a beautiful breezeway composed of green metal geometric screens and an elegant curved facade. There's even an artist's placard in front. Modernist Walmart is weird because Walmart in the United States is the epitome of the worst architecture: it is literally a Big Box, so much so that Big Box is the name of the style of architecture that houses stores like Walmart. 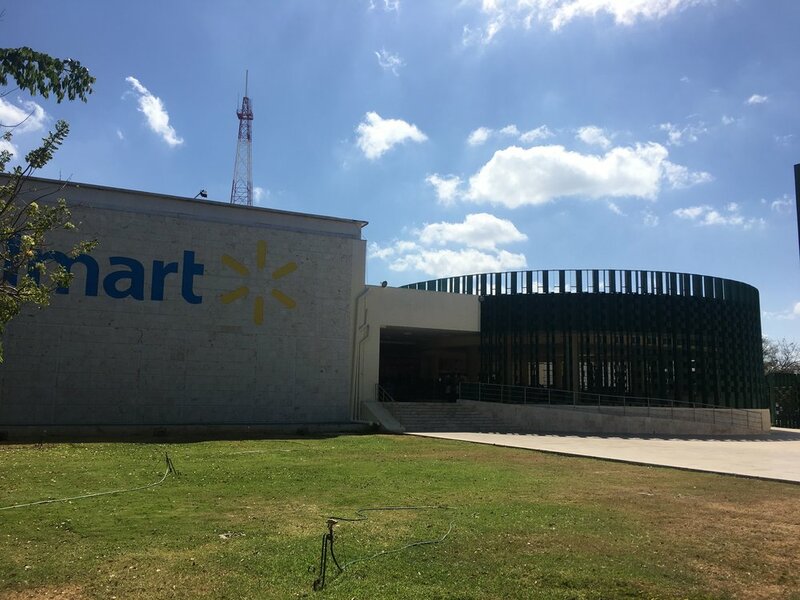 Is Walmart secretly making beautiful modernist buildings elsewhere in the world and Americans just don't know about them? Why aren't there any modernist Walmarts in the United States? Why is Big Box a thing if a Walmart can also look like this? So weird to enter the alternate Walmart world. Click the photo above for more photos.